Looking for new sandals for this spring/summer? 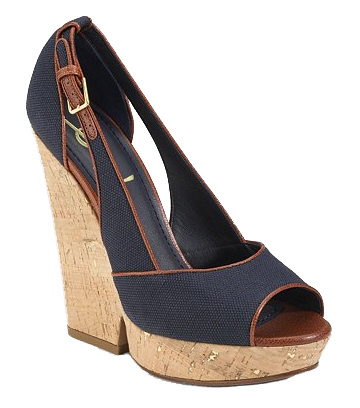 Yves Saint Laurent’s Deauville Wedge Sandals will give just the right style lift that you need this season. Constructed with cool canvas upper and cork bottom, these summery-chic sandals are popular among celebs including Megan Fox (above). Retails for $695 and also available in off-white ($556). 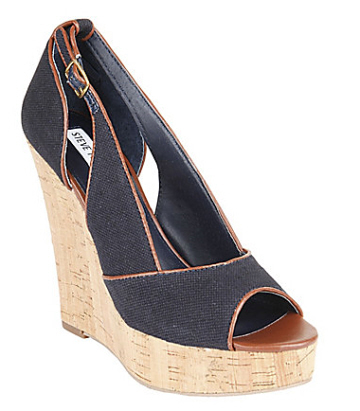 Steve Madden’s Taytum is just the perfect alternative for fashionistas on a budget. 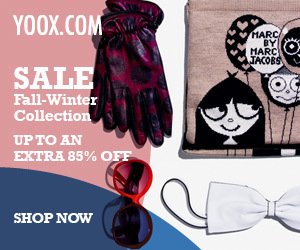 Get them in navy, black, or natural for just $89.95.